From wine-bathing to Ayahuasca retreats, these hotels have something special for you. A vacation is meant to interrupt the drudgery of your workaday life. Hence why the British call it a holiday. But between the planning, schlepping and impending doom that awaits in your inbox upon return, vacations can sometimes feel like a job all their own. Correcting that? Our guide to 18 decadent, globe-spanning hotels with a single goal in mind: helping you turn your brain off and chill out for once. 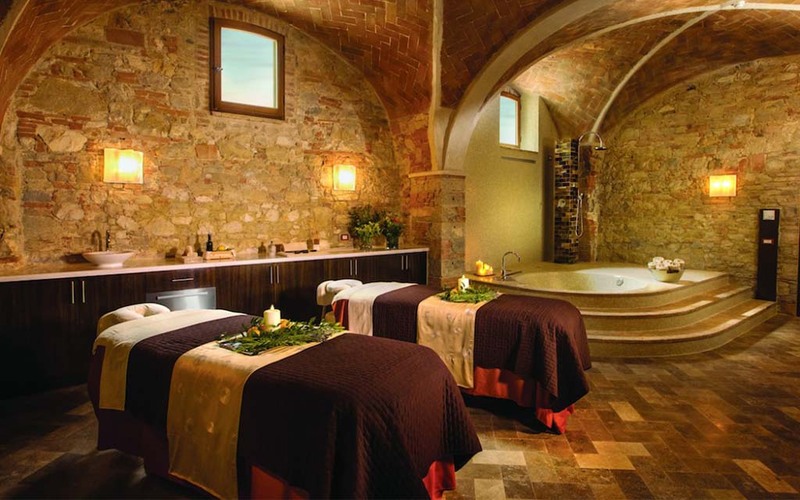 From wine bathing in a Tuscan castle to Tahitian massages to a 10-day Ayahuasca retreat, the path to supreme relaxation lies ahead. The Details: A five-room, 10-person classical Indonesian Phinisi ship featuring a master suite with 180-degree windows and private deck. Not to mention custom teak furniture throughout and an indoor-outdoor saloon. The Therapy: When’s the last time you took a private ship to a private beach on a private island? Beyond the full 16-person staff that looks after your every need and curiosity (marine biologist/dive instructor, executive chef, massage therapist, etc. 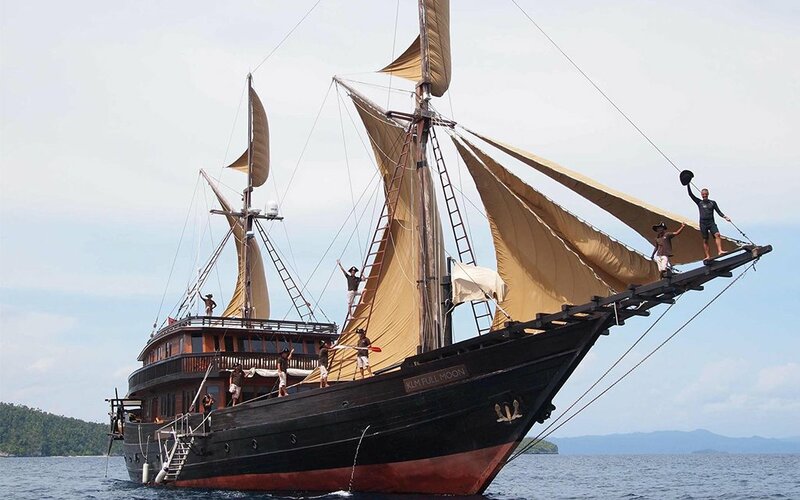 ), the Alila Purnama offers the opportunity to charter a trip to your own private oasis. 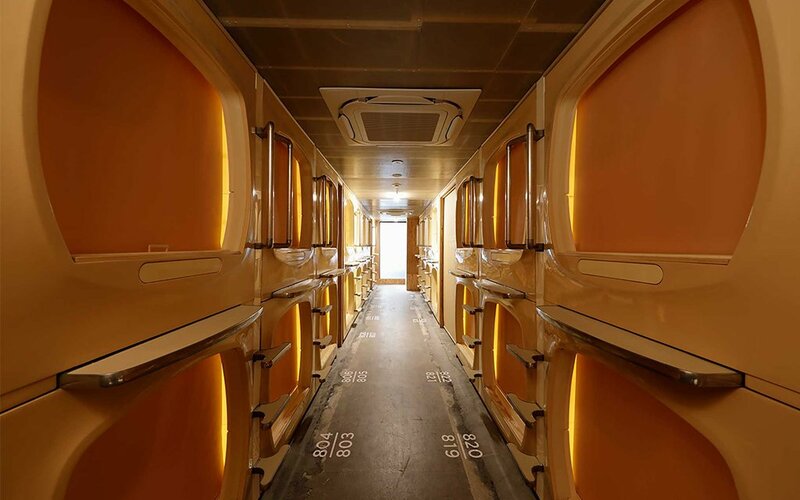 The Details: Capsule hotels are common to Tokyo, but this one feels transported from the future, as guests sleep in small soundproof chambers within a larger vaulted room. It’s basically the world’s most luxurious military barracks. The Therapy: A Finnish-style spa on premise meant to rejuvenate the body through a traditional cycle of heat exposure and cooling off. Guests check in at 1 P.M. and out at 10 A.M. the next day, with the hours between accounted for with a thorough recharge-and-reset routine. 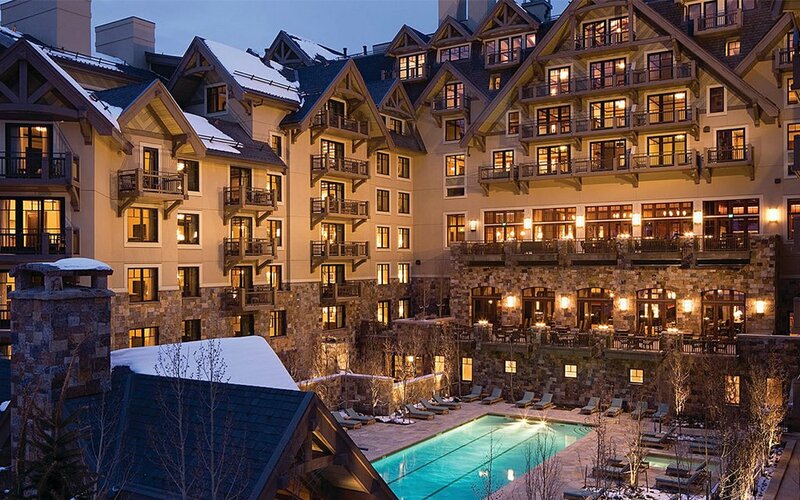 The Details: In addition to easy access to the second largest ski area in North America, this property features a year-round outdoor pool and plenty of outdoor activities, from guided hikes to an all-seasons kids recreation program. The Therapy: A specially designed spa offering for men which includes a hot milk bath and a glass of local bourbon followed by a full body massage using a Bourbon Bubbler scrub (“an intoxicating blend of brown sugar and real Kentucky Whiskey”). 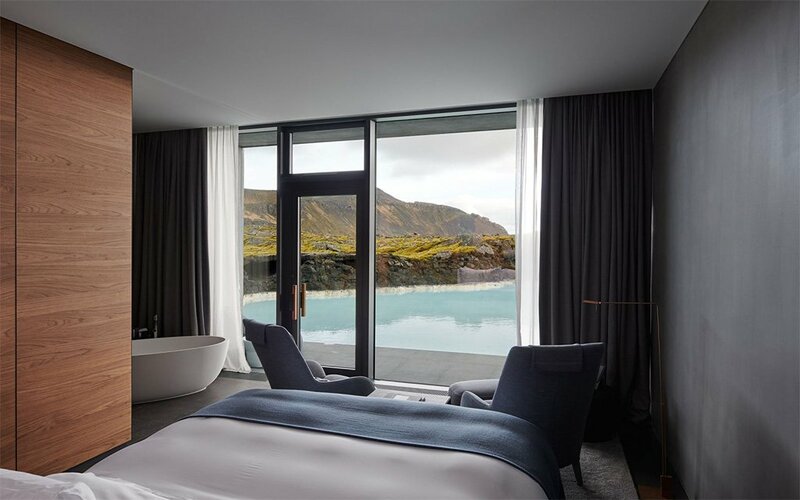 The Details: The Retreat opened earlier this year as the first “luxury hotel” at Iceland’s most famous geothermal pool, the Blue Lagoon. Features 62 rooms with floor-to-ceiling windows for unimpeded views of the breathtaking Icelandic countryside. The Therapy: Unique to this hotel are a handful of suites that have private, direct access to the lagoon itself, meaning you can stroll out of bed and into world-famous mineral hot springs without having to utter a word to anyone. The Details: This 36-room hotel does not shy away when it comes to amenities, which include complimentary butler service, Hermès bathroom supplies and a Rolls-Royce Ghost that’ll taxi guests to anywhere within a 1.5-mile radius. 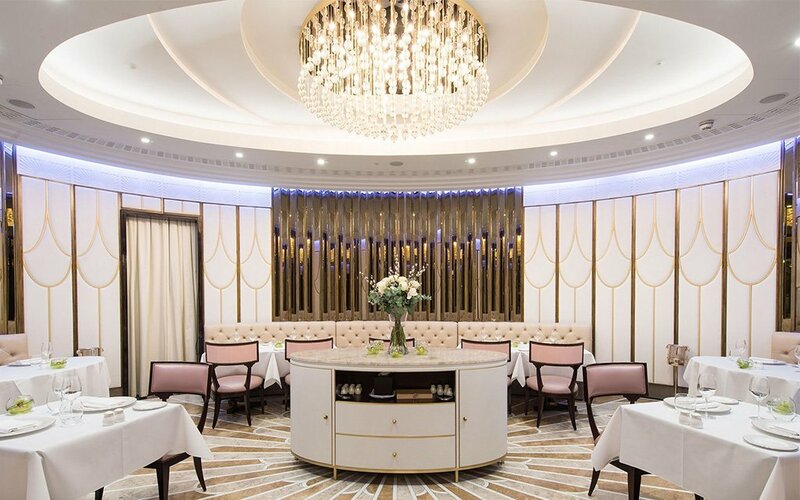 The Therapy: As if the rest wasn’t enough, The Wellesley also features Europe’s largest in-hotel humidor, as well as a private terrace replete with cigar experts offering a Cigar & Cognac Experience. 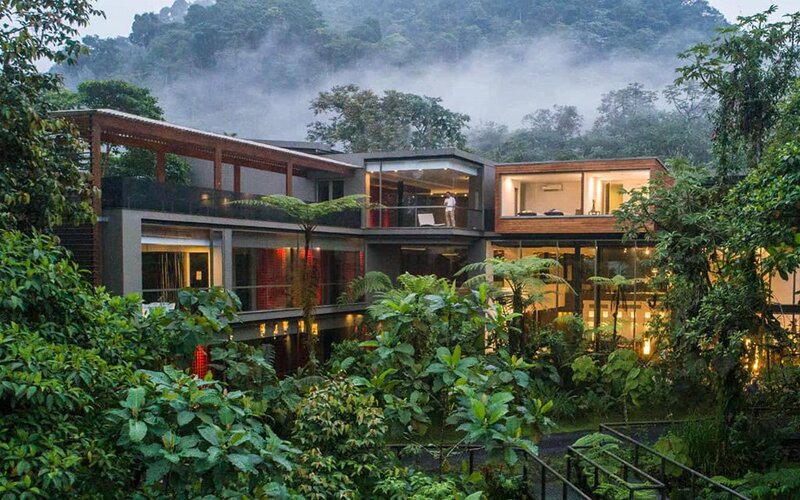 The Details: Despite being located within the Metropolitan District of Quito, this property sits in the heart of Ecuador’s Cloud Forest, allowing guests to wake up to canopy views right outside their window. The Therapy: Aside from a top-notch spa, Mashpi is all about guests immersing themselves in the incredible natural habitat that surrounds the lodge. 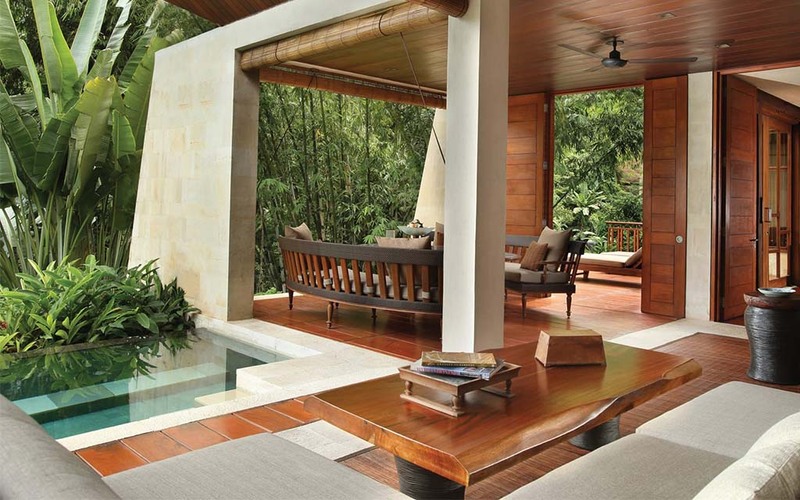 This includes cloud forest gondola rides, an open air hot tub and a jungle-adjacent yoga deck. 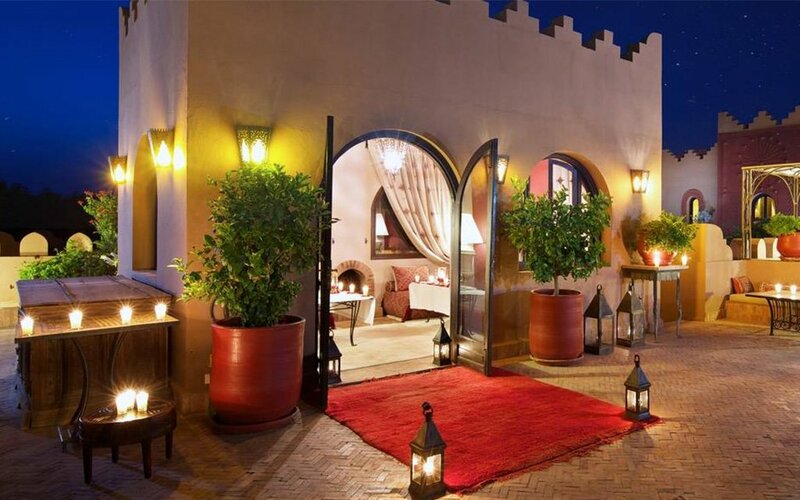 The Details: A 28-room hotel from the one and only Sir Richard Branson, the Kasbah is located high up in Morocco’s Atlas Mountains and features stunning views of the surrounding landscape and rooms housing antiques from the four corners of the world. 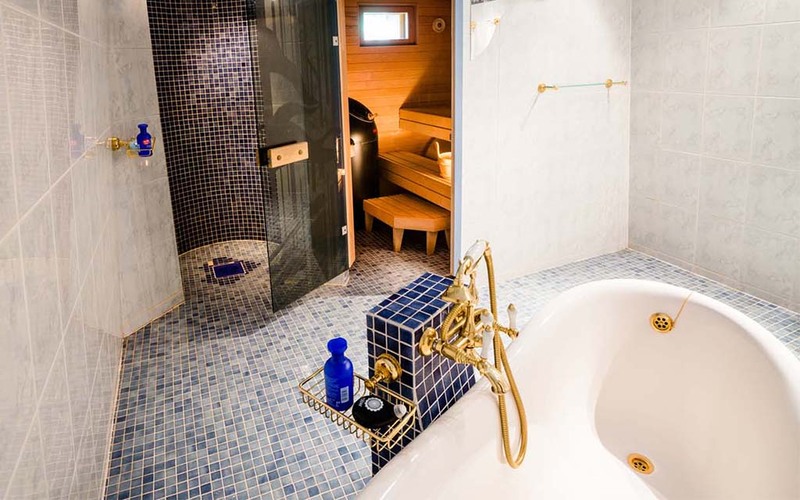 The Therapy: Traditional Moroccan Hammam massages, which, for the uninitiated, feature local black soap and full-body exfoliation using a special mitt. Sounds lovely. The Therapy: Get yourself a glass igloo and fall asleep watching the soothing undulations of the Northern Lights. Stomach sleepers need not apply. The Details: This property looks like a hotel out of James Cameron’s Avatar, situated among the lush vegetation and equipped with a suspension bridge that connects various parts of the property. The Therapy: Spa features include traditional Balinese Chakra ceremonies as well as riverstone bathing, all set against a tropical rainforest backdrop. 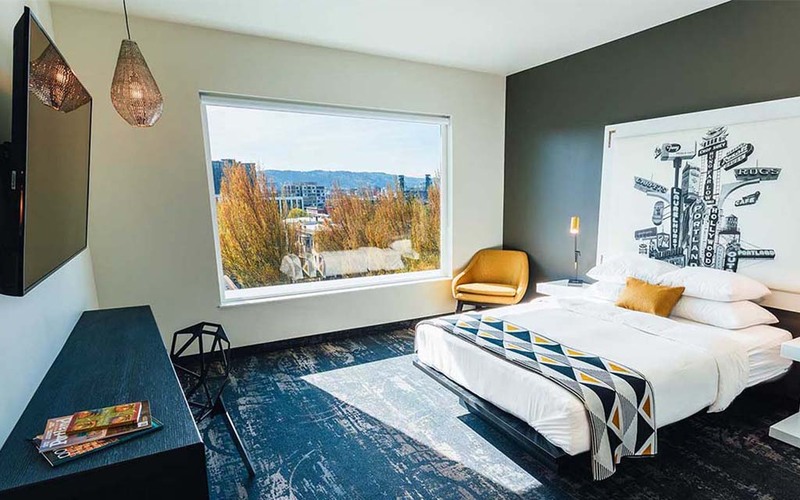 The Details: Housed in a revitalized motor lodge, this hotel features singularly designed rooms with unique local art, and sits just five minutes from downtown Portland. The Therapy: A little something they call the 420 package: vape pen, munchies, discount tickets to local dispensaries and more. The Details: The Manta Resort is a gorgeous all-inclusive cluster of seaside villas overlooking the Indian Ocean on Tanzania’s Pemba Island. Daytime activities include scuba diving, deep-sea fishing and safaris. The Therapy: You’ve heard of sleeping with the fishes? 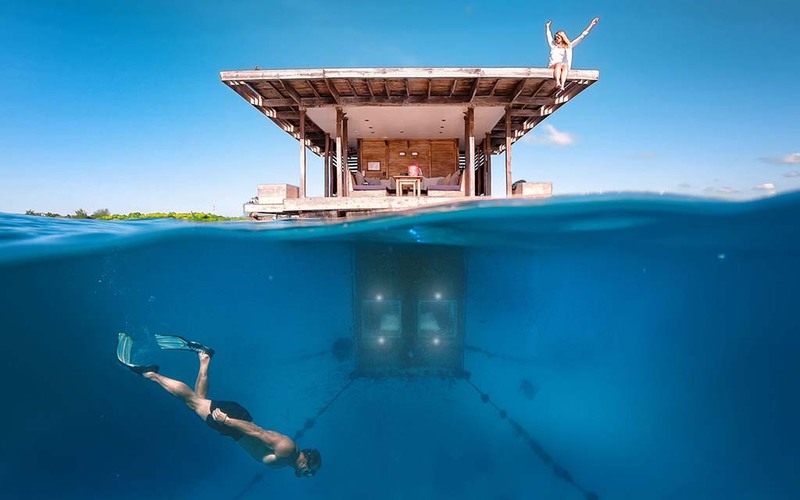 The real crown-jewel of Manta is their Underwater Room, an isolated villa 250 meters with a landing deck, accessible roof for stargazing and an underwater bedroom. 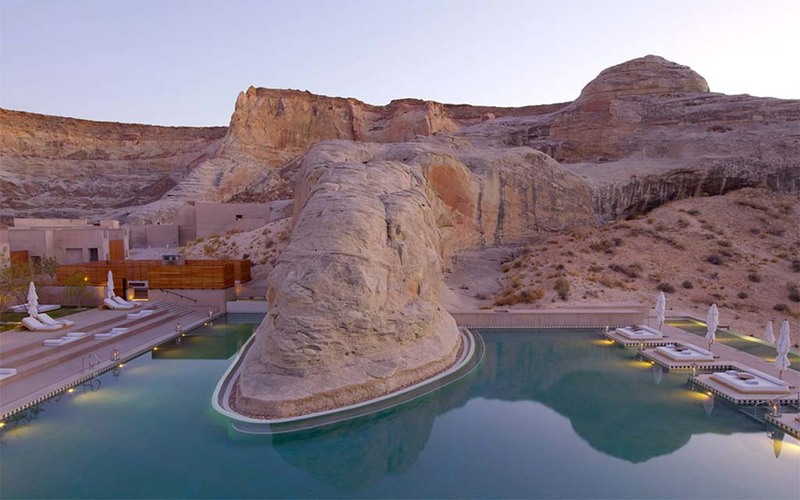 The Details: This property is nestled among the canyon- and plateau-filled landscape of southern Utah and allows access to the majestic State and National Parks the American Southwest plays home to. The Therapy: A world-class spa that draws from local influences: each treatment begins with a traditional Native American ritual known as smudging, which involves burning white sage and fanning it over the body. The Details: Situated in a former castle in the rolling hills of Tuscany, you can eat and drink till you turn red, white and green in the face here. The Therapy: Wine baths. Need we say more? 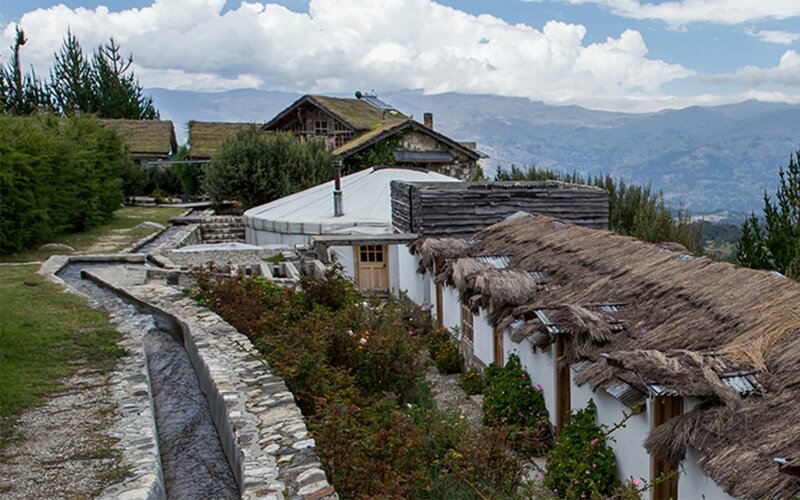 The Details: Located in the Peruvian Andes, this retreat features modern, minimally designed rooms themed inspired by the local community. The Therapy: A 10-day Ayahuasca- and plant-based cleanse meant to align your mental, physical, emotional and spiritual faculties. The Details: Featuring 67 rooms that all boast at least four-meter ceilings, this hotel takes its cues from traditional Andalusian design. 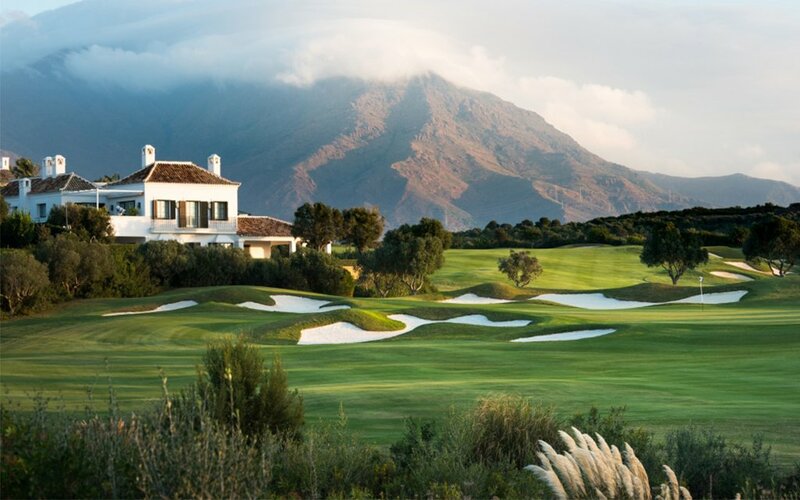 Plus: a 6,000-square-meter beach club to ensure you get plenty of that Costa Del Sol, uh, sol. The Details: Yes, it’s called the Brando because it was started by Marlon Brando. It sits on an atoll surrounding a three-mile-wide lagoon, features unrivaled beaches and employs a number of cutting-edge technologies with the goal of true carbon neutrality. 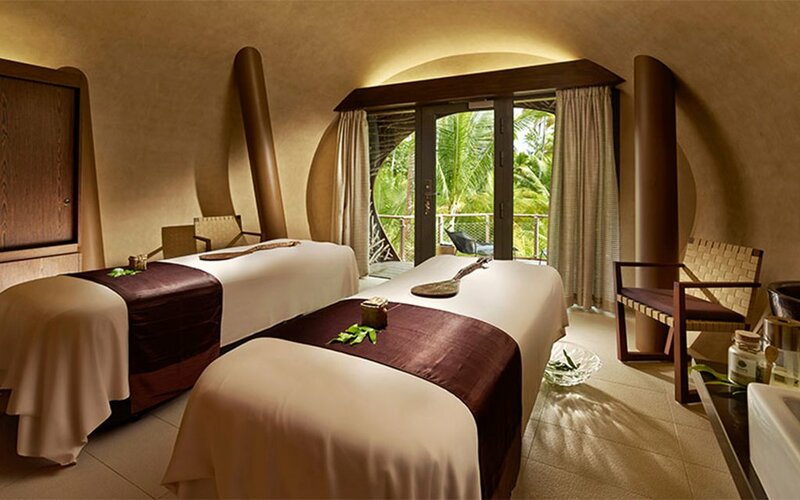 The Therapy: Aside from its near isolation, Brando offers a spa that features Taurumi massages, a traditional Tahitian technique with an emphasis on spirituality. The Details: A hand-restored 15th-century villa with views of Florence and the rolling Tuscan hills where visitors will find the softest Tuscan linens, a two-tiered swimming pool and a sui generis attention to their clients’ ever want and need. The Therapy: If you wind down by losing yourself in a good book, Il Salviatino features one of the coziest libraries on earth: expect luxurious leather couches and a wide array of rare leather-bound classics. 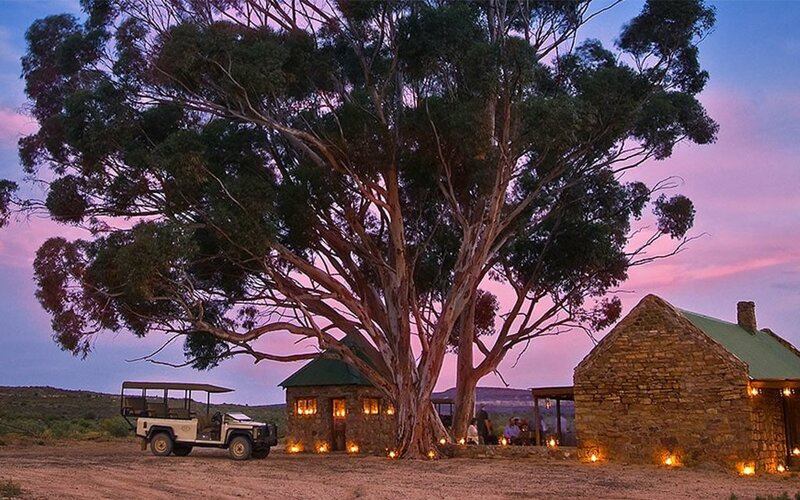 The Therapy: In the inaugural spa and wellness awards, Bushman’s Kloof was awarded Best Spa in Africa & the Indian Ocean region. So on top of the safaris, you have that to look forward to. 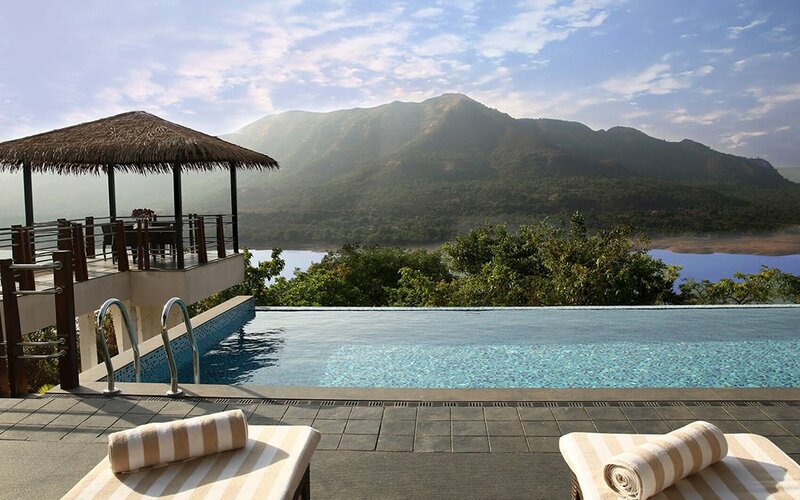 The Details: A well-appointed retreat featuring rooms with floor-to-ceiling windows and balconies that open to the densely vegetated Sahyadri Mountains. The Therapy: Atmantan features multi-day yoga retreats that include individual wellness consultations, body-composition analysis, postural assessment, daily activities and a post-trip assessment.